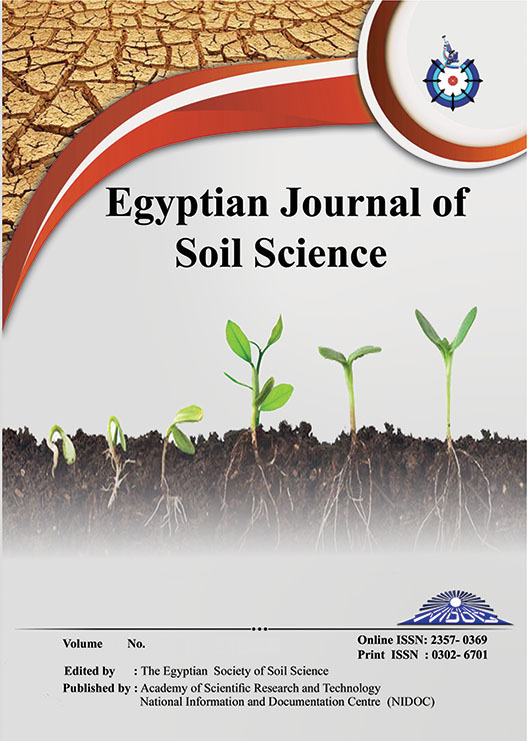 Wheat (Triticm aestivum L.) plants were cultivated during the season 2013/2014 at the experimental farm of the Faculty of Agriculture, Tanta University, Egypt. The aim was to study the influence of inoculation with a cyanobacterial strain and foliar spray of micronutrient mixed with different humic acid, along with recommended or ½ recommended N doses on availability of nutrients in soil. Available N and P in soil, N and P content in grain and straw, and wheat yield increased significantly with application of micronutrient mixtures and cyanobacteria inoculation with ½ recommended N doses. Wheat grain and straw yield increased by 25 % and 13 % with application of ½ recommended N dose plus micronutrient mixtures and cyanobacterial inoculation as compared with the recommended N dose, respectively. The increases in available N and P in soil and N and P concentrations in grain and straw as well as wheat yield between the plots treated by micronutrient mixtures were non-significant. Results concluded that, the combination between cyanobacterial inoculation and micronutrient mixtures with humic acid reduced the amount of the mineral nitrogen which can lead to saving chemical-N fertilizer (about 50 %) and improving the soil available N and P and grain and straw yield of wheat.